He will be succeeded on 1 July 2014 by Patrick Frost who, as a long-serving Corporate Executive Board member, having joined the Board in 2006, knows Swiss Life very well. Patrick Frost began his career in the mid-nineties as an analyst and subsequently as a Portfolio Manager in asset management for Winterthur Group. After two years in the US as a Corporate Bond Manager, he was appointed Head of Fixed Income at Winterthur Group in 2001. In 2006 he was appointed Chief Investment Officer of the Swiss Life Group. "We are extremely pleased that, with Patrick Frost, we have been able to appoint the new Group CEO from among our own ranks – this is also a sign of continuity. 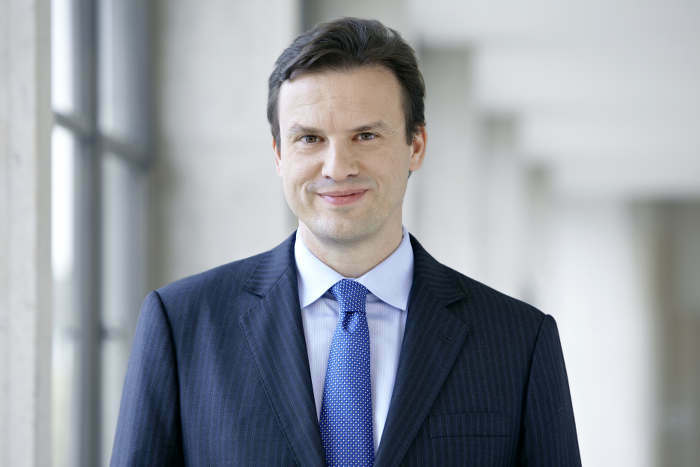 His track record in asset management and in-depth know-how of the life and pensions and financial market, together with his extensive knowledge are qualities which will enable him to lead Swiss Life into a successful future," comments Rolf Dörig, Chairman of the Board of Directors. "On behalf of the Board of Directors and the Corporate Executive Board, we would like to thank Bruno Pfister already today for his exceptional engagement and the great contribution he has made over a long period to the Group's successful development."